Fits my breakfast room perfectly. Needed 2 people to assemble, but in the end looks very nice. The top was not a super color, so I painted it white, which improved it! Overall, I highly recommend this table... Very difficult to find nice counter height tables. 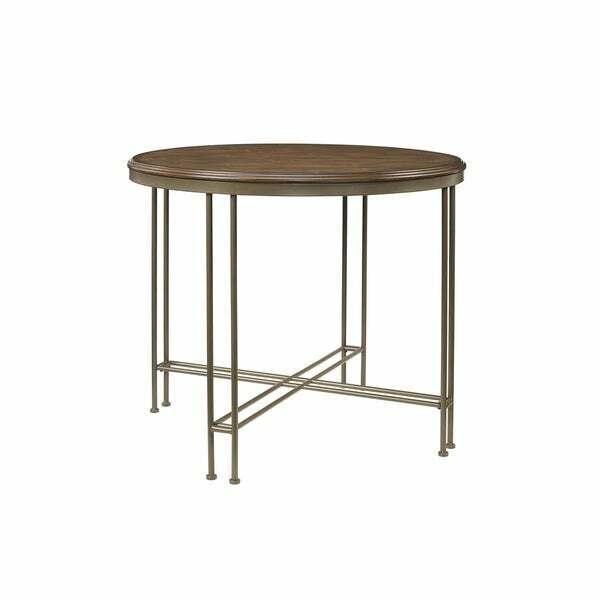 Stylish and unique, the Oslo round counter height table is the perfect dining solution for any space small or large. Made of Asian hardwood with a wire-style metal frame, this excellent table features a fresh, industrial style that works well with a host of home decor aesthetics. "Do you have the chairs to go with this table?"